I love this passage, probably as much as any great, historical piece of writing. Up there with MLK and Lincoln. It is sermonic. Revelational. Truth blazoned across life with a clarity often lost in its most difficult moments. Of course, it was written for very specific circumstances. And we tend to think, in particular, of their appeal with respect to a national or corporate interest. Re-evaluating and dissolving the bonds which kept a group of people beholden to agreements that no longer worked well for them – no longer led to healthy or prosperous outcomes. But it’s certainly also possible to consider how this might be an expression an individual might well consider in re-imagining a new, healthier relationship with life. After repeatedly bumping up against unsatisfying outcomes to basic needs, it is imperative to seek independence before re-establishing a fundamentally more effective system of interdependence. Sometimes the integration of new truths requires greater complexity. Sometimes, separating from a plan, once good, in order to make a new, better, one. This is hard. For the last two years, I had a chance to work with some brilliant people at the Friedman Center for Family Process. It is based on the work of Murray Bowen - sometimes called, Family Systems Theory. It is a theory of how we get stuck in habits and patterns even long after we see they are not serving us well. Though we tell ourselves we want love and connection and happiness, there is often an overriding desire for stability – and, particularly, the comfort that comes with stability. One of the key aspects of this equation is the first part. D and V are coupled into a product. We know from math that when multiplying any two numbers, if one of them is zero, than the product is zero. Therefore, in order for change to occur, it is imperative that there is measurable and significant dissatisfaction with the status quo and a vision of how it could be be better. If either one of these factors is zero, the chance for change is zero. We need to be dissatisfied with the way things have been and have some degree of clarity with how they could be – simultaneously. AND, we need to have some first step to initiate the process. And ALL THAT must be greater than the resistance we routinely face. I have thought a great deal of that formula in the last few years. AND in the last few weeks. At the heart of the Inca culture is a spiritual premise of ascension… an evolution of awareness – especially with regard to being in harmonious relationship with essential elements of life. Being in right relationship with ourselves and other life. Being in sync and in sense of mutuality and reciprocity with genders… being aware and connected to what energies move through our lives. It requires a steadfast attention and presence to be aware of how we are in sync (or not) with ourselves and others. Having ‘integrity’ is not just a saying, but it is understanding the interrelatedness of of all things and knowing when that relatedness is undermined or ignored. And when it is, repeatedly and habitually, to fashion the courage to call for the kind of change that can return a sense of harmony (or as the Buddhists call it, ‘equinimity.’). To make such a change requires a willingness to risk not only the status quo, but to risk upsetting others around us who depend upon and are attached to the status quo. Without such risk takers and change agents, corruption settles in and makes a home. It is from such change agents that the world is changed. And saved. And it is by such people that relief, liberation, redemption and hope are carried. After being able to observe how the cast of characters selling the immunization cards was related to the various layers of bureaucracy requiring them and how the system as a whole seemed to operate with very little resiliency or generoristy of spirit and how a certain desperation becomes embedded into attitudes so that everyone tries to extract whatever advantage might be possible… and after observing how far removed all of that is from true intentionality of the Inca spirituality… and how that interest in the evolution of individual and collective consciousness seemed to be crushed by the Spanish Conquistadors who drove the Inca culture to veritable extinction and depicted it in history as cunning, aggressive and treacherous… I think I understand the true nature of evolution. What we sew is what we reap. I did end up going with the taxi driver to the Avianca Office 20 miles away. And I did end up talking with several agents for nearly an hour – eventually culminating in an agent’s kindness when she finally understood that the Avianca agent knowingly sold me tickets without fulfilling her obligation to disclose immunization requirements for those entering Peru. She offered me the choice of either a free ticket on to Costa Rica and reinstating my return flight from San Jose to San Francisco (although I would have to wait in Lima for 2 days for the next available seat on a plane) – OR – a free ticket back to San Francisco. I took the way home. There will come a day to go to Costa Rica. And probably a day when I will return to South America. And I hope, when I do, that I will return – not with trepidation or a dubious or skeptical eye – but an open heart and a creative and playful outlook. To just be dissatisfied with how things are and not equipped with a vision of a new, more loving and resilient spirit, is not going to effect much change. And without change a true liberation from tyranny is rarely possible. I wasn’t with the brigade that landed at Normandy… nor was I on the front line of civil rights marchers who faced the dogs and fire hoses in Birmingham… nor have I stood with any of the thousand-plus immigrants swept up daily around the country and brought into ICE detainment centers, who are cut off from family and friends and face deportation and the loss of multiple lifetimes spent stockpiling shared dreams. I don’t have any first hand experience in those situations. And I can understand how comparing my minor mishap within an otherwise amazing tour gaining exposure to Peruvian / Inca culture and spirituality could be confusing (at best) and insulting (at worst). 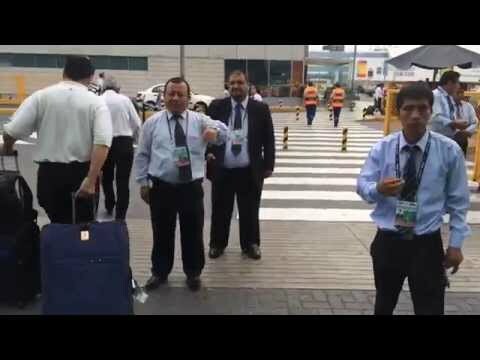 But my experience at the Lima airport was an experience that helped me understand the kinds of situations that bring a lump to the back of the throat and the the special brand of tingling paralysis that comes when you realize your name has just been called in a winner-take-all cage-match showdown. When it first becomes clear your name has been penciled in for drama, it registers somewhere between ‘sobering’ and ‘sickening.’ A quick analysis reveals that ‘playing to win’ is not an option. To believe you have a real shot at 47th place would be encouraging. It’s a game you’ve never played with players you’ve never met, using strategies you’ve never seen and explained in a language you don’t speak. There is no one else on your team and as you stagger down the runway, with the crowd chanting, it becomes clear the stakes being played for are all things you thought were part of your entitlement. Much of what you’ve come to love and hold dear is suddenly at stake. And you’re ‘opponent’ does not have anything at risk. Explained to me, in broken English, by the fourth, fifth and sixth customer service agent at Avianca Airlines, that’s how it came across. And as I attempted to employ every angle to establish even a shaky foothold of leverage, I listened anxiously as every plea and appeal was calmly refuted and denied. - It was June 27th. I was in Lima, Peru. At the airport. - My boarding pass for the next leg of my trip said, ‘San Jose, Costa Rica’ (in accordance with the itinerary I had purchased several months earlier – an extra leg on my Peruvian adventure that seemed worth the extra $300 to visit the rain forest). But that boarding pass had been taken away by the Avianca agent in Cuzco, explaining that she could not return it to me because I had no proof of my Yellow Fever Immunization shot. - The Avianca agents at the counter would not change my intinerary. She explained that her computer and her phones were not programmed to make changes to existing flights. All she could do was purchase a brand new ticket for a new destination. - She would not give me a new ticket to Costa Rica without the Yellow Fever Immunization Card. - When I explained that if I wasn’t permitted to continue on to Costa Rica, I needed to return to the US, she explained that my return flight to San Francisco was out of San Jose, Costa Rica – and my reservation on that flight had been released when the agent in Cuzco cancelled my seat on the flight to San Jose. Then she, matter-of-factly mentioned that the ‘new’ (walk up) price for a ticket back to San Francisco would be $2100.00… and there was no room on any such flight for three days (June 30). - Any negotiation regarding ‘changing’ my itinerary (as opposed to purchasing a new itinerary) would have to be done through the ‘call center’ or ‘in-person’ at the Avianca office (which was 20 miles away – a 50 Solis taxi ride). - The Avianca counter would not allow me to use one of their phones to contact the Avianca call center – but, instead, insisted that I use the public phone (of which there was only one in the Lima airport). - The public phone was 10 ft. beyond the area roped-off and separated from the Avianca counter monitored by an armed female guard. She made me ‘walk around’ (ie. go out of the airport, walk 150 meters to the other entrance and then walk back to the phone) rather than pass through the arbitrarily placed demarcation. THIS was how ‘Operation Salvation’ began for me – with the feeling that seemingly pointless tasks were placed before me like hurdles to ‘prove’ my worthiness of rising above a demonstrable leverage of power. And, whether or not an organized conspiracy was every officially established, every detail which followed felt like it had intentionally been coated with three extra layers of difficulty. Thinking I wouldn’t need it anymore in Costa Rica, all my Peruvian money had been packed in the bottom of my backpack, which meant using the space next to the armed guards in the middle of the airport as a public showcase for my vintage collection of dirty laundry while I looked or one solis coins required for the payphone. It was a relief to find, after just a short exchange, that this taxi driver was familiar enough with the comparative inefficiency of the South American aviation system to be able to offer a little empathy. And he had room for some extra pity for a one of the non-Spanish-Speaking pawns caught in the maze. 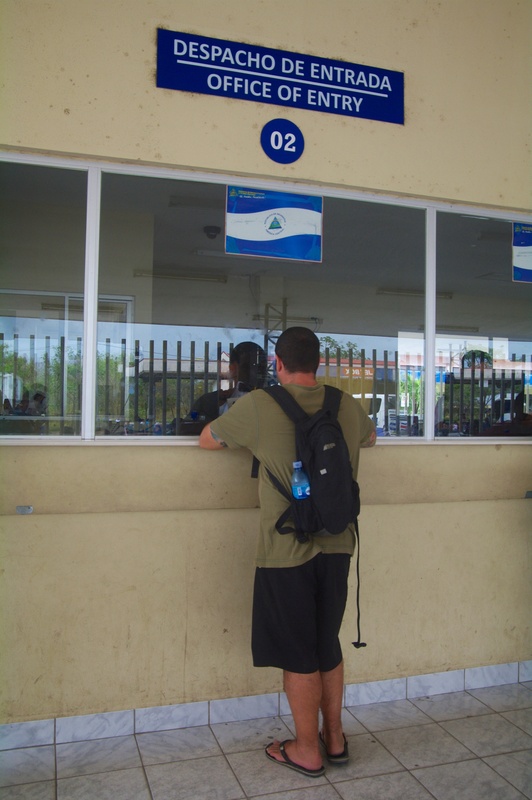 Pulling out his cell phone, he looked at the Avianca card I was squeezing too-tightly between my fingers, dialed the number for the call center. navigated the recorded instructions to choose the ‘for english, press 27…’ option, and handed me the phone. The Avianca Call Center agents – although quite a few strata above the category of ‘dehumanizing’ (which was what I estimated was the objective level of customer service targeted for Avianca agents assigned to work behind the counter) – had not quite hit the high-water mark of ‘understanding’ but had some training in appearing ‘interested.’ Still, after twenty minutes of explanation, the best I could do for a return flight to San Francisco was $600 on the 29th (and THAT was cashing in all my American Airlines – a Star-Alliance partner – frequent flier miles). Again, more disbelief and exasperation eminated from my little corner of the airport which acted like something of a signal to attract the attention of not one, not two, but three different helpful ‘travel assistants’ who ‘worked in the airport.’ By far, they were the most interested and friendly of all the people I’d encountered to this point. And after listening to descriptions of my escapades to that point, there was unified, bobble-headed nodding with copious exclamations of empathy. “They” do this all the time, was how it was explained to me simultaneously by all three of them in turn (sort of like the three stooges. They were clearly in cahoots). ”Do you need a Yellow Fever Immunization Card? We can get you one…” And, after just a few questions, one of them was on the phone. A few minutes after that, the second one walked stridently toward the exit where I witnessed the briefest rendezvous and exchange I had ever seen with another gentleman. In the next moment I was looking at a filled out Yellow Fever Immunization card with my name, passport number and birthday, signed by a doctor and stamped with a date of July 13th (three days earlier than when I had entered the country, if anyone bothered to check). Suddenly, I could feel a pervasive slimy-ness surrounding and saturating my moral senses. It seemed clear that it was emanating not from any single entity within the environment but, indeed, it was an essential ingredient in the atmosphere that each piece of the system was drawing from and dependent upon. My own desperation to escape the tractor-beam pull of the slimy event-horizon prompted me to take the immunization card back to the Avianca ticket counter and explain – with as much earnestness and sincerity as I could muster – that I had only ‘temporarily lost’ my immunization card – not, in fact, failed to obtain one – and that I would like to buy a ticket to Costa Rica. But, deep-seeded corruption is not so easily satisfied. I found out that not only would it cost me over $1200 to get to Costa Rica, my flight from there to San Francisco had already been cancelled and would have to be repurchased – another $1400. The wake-up call, however, was in suddenly being able to recognize how easy it is to be pulled into the undertow of corrupt operations and how each minor moral compromise drags you further away from any semblance of moral integrity. The irony seemed clear: after ten days of studying ancient spiritual practices of ‘ascension’ and ‘evolution of consciousness’ and feeling very drawn to new and higher ways of relating to the world, we can discover ways to substantially ‘grow our soul.’ We can expand our awareness to include vital, inclusive relationships with everything around us. We can operate from a deeper understanding of being part of the interdependent web. We can also encounter situations where we encounter fear and doubt and suspicion – which are all common and even natural and appropriate responses to circumstance and the behaviors of people around us. What becomes ‘telling’ is when such fear becomes so consuming/compelling that in our reaction to it we adaptive and even adopting of it. We integrate fear and protectiveness as a coping strategy become willing – even conspiratorial – in realigning our moral compass to something other than a true north. On what would have been the day spent preparing to return to San Jose, Costa Rica, and saying goodbye to the lush tropical paradise that is the Monte Verde canopy of Central America…. On what would have been the day spent culling together photos of monkeys, tucans or larger than normal insect bites from my collage of rain forest experiences…. 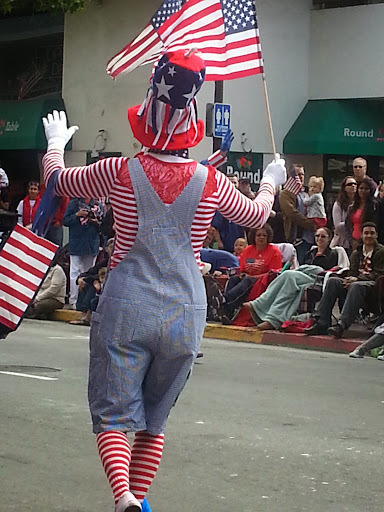 Presumably, Uncle Sam’s slightly less dour and more personable half; known for parading down Main Streets across the country on the occasion of provincial 4th of the July celebrations. And, although I was looking forward to escaping the perfunctory nod to nationalism and patriotic pyrotechnics, I find more than a little appreciation for the freedoms, rights and expectations that come with owning a US passport. To understand, I have only to think back eight days ago as I prepared to leave the mysterium, tremendum et fascinans of the Cuzco region’s Sacred Valley where I was studying Inka culture and customs. There is a physiological phenomenon that occurs when your body undergoes panic protocol where your eyes dilate, skin pores open up into spontaneous impulse to sweat; throat constricts, a small bucket of blood suddenly drops into you heart and your brain immediately sift through a collage of associations with the word ‘immunization’ going back to second grade making the experience feel like a pre-adolescent pop quiz on 6-dimensional differential equations. “This is the first I’m hearing about any kind of immunization,” I say trying hard to disguise my panic. “I checked the requirements when I booked the flight and Avianca never mentioned the need for anything other than my passport. “In Peru?” I realize, somewhat too late, that when this question came out, it contained the unmuted disbelief of a patient first hearing the diagnosis of a terminal disease. It did not engratiate me to the prideful, romantic mystique of the Latin American people in general, and certainly not to this particular Avianca agent. She doesn’t look at me as she hands me back one of the two boarding passes I’d presented to her a moment earlier. “If you don’t have an immunization certificate you will not be able to enter the country and I can’t let you board the plane. Her blank stare suddenly became the primary indicator that we barely shared a common language and certainly didn’t share a common intent. It would be misleading to suggest that her tone or manner indicated any malevolence. More accurately, her response could be charaterized as surging disinterest. “Yes, sir.” She handed me a generic Avianca card and pointed to the local and toll free number at the bottom of the card. I quickly got the impression this exchange was part of a well rehearsed protocol. “But, I don’t have a phone!” I pleaded as I began to realize I had already been measured and fitted for the ‘victim’s’ wardrobe. I don’t mean to shortchange the compelling nature of our dialogue by eliminating the majority of my contribution – which really amounted to long, whiny soliloquies of someone accustomed to far more influence, power and privilege – but it’s worth emphasizing the teflon nature of people operating a system when they recognize the tractor beam of power and influence built into the unilateral and comprehensive inefficiency that deflects and dissuades resistance. Especially when that inefficiency is accompanied by the artful blank stare and a half dozen heavily armed federales. This painfully long, overly dramatized story would be pointless if it didn’t somehow connect to the cultural arch narrative of assumed power and role reversal. The disheartening disbelief of one person is not enough to turn the tides of injustice, indifference and contempt – especially when enacted with impudent and snarky overtones. Indeed, immigration and slavery have operated in much more obvious fashion for millennia on scales of magnitude dwarfing my personal travel woes. And at the time, it was not possible for me to rise up out my indignity and spot this small spark of irony against a dark sea of misfortune. 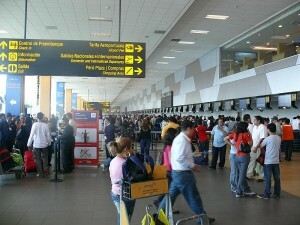 So, I fumed and fretted as I stood in line to board the flight to Lima. Shirley – a native Peruvian who was on the Inca tour with me – passed through security just before I boarded. While in line, she explained that she had a friend who worked for Avianca in Lima and promised to try and reach her. THAT – a very faint glimmer of hope – was the only indication that anything like a soft landing awaited me in Lima as my plane took off and carried me over the white-capped Andes.